Life for students in Hong Kong can be really harsh – especially when they must live apart from their family to access a good education at a reasonable cost. How often do we really understand the problems faced by fellow students. 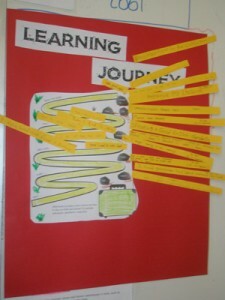 In class yesterday, we talked about how learning is like a journey. Most of you said that at the start of your journey, learning English, you really wanted to be able to speak English well – and for some of you this was so you could make friends. 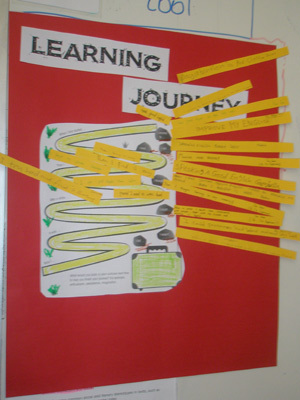 We also looked at how things change during the journey. Sometimes things get difficult at and times like that, it is important to be persistent. Most of you think that you have learned a lot – but still have a way to go. We also talked about the things we need to pack for this journey…. Things like a dictionary, thesaurus and books are important. We also talked about motivation, hard work and a positive attitude as things that are important.